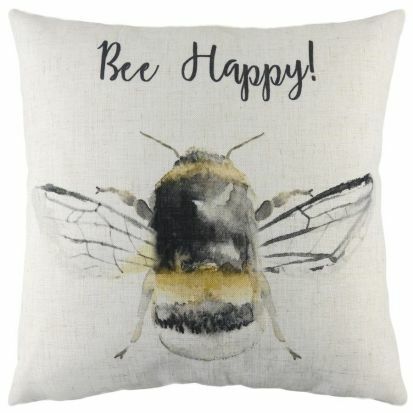 This lovely Bee Happy! 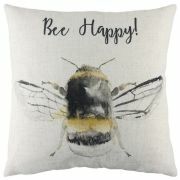 cushion design is hand painted by Evans Lichfield artists before being printed onto the soft linen-blend fabric. The reverse is a plain linen-blend.